Arsenal legend Martin Keown has revealed the moment he told his old club to seal the transfer of Luke Shaw – back when he was a teenager coming through at Southampton. The Manchester United left-back is enjoying a fine run of form at the moment, looking one of the club’s most improved players this season despite the team making a poor start overall. Keown has certainly been impressed by how Shaw has played as he’s made his way back into the England fold with a call-up for the next round of international fixtures. This seems well deserved after Shaw’s fine start to the season, and Keown says he’s been a long-time admirer of the 23-year-old defender. Shaw was seen as a real prodigy at Southampton, and Keown says he watched him in a training match and instantly urged the watching Arsenal scout to snap him up. 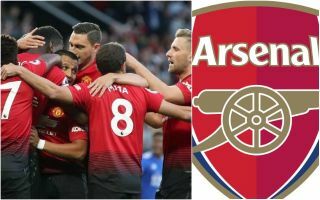 Unfortunately, the Gunners didn’t end up getting this deal done, and it now looks like United are finally working out how to get the best out of the player after his early struggles at Old Trafford.